NAVAL AIR STATION WHIDBEY ISLAND, Wash. – June 29, 2015 – The U.S. Navy's venerable EA-6B Prowler tactical jamming aircraft, designed and built by Northrop Grumman Corporation (NYSE:NOC), has been a fixture at Naval Air Station Whidbey Island and in the nation's carrier-based strike forces since 1971. On Saturday, June 27, the longest serving carrier-based aircraft in history passed that electronic attack baton to its successor, the EA-18G Growler, with a ceremonial final take-off and flyaway from its longtime home base. It was the culmination of a two-day event honoring the legendary aircraft. As the Navy's last operational EA-6B Prowler, bureau number 163890, rolled down the runway and lifted off, each of them said farewell in their own way – some cheered, some waved American flags, some quietly remembered fallen comrades. But all of them applauded the spirit, the history, and the operational excellence of the Navy's longest serving electronic attack aircraft and the community that has supported her. 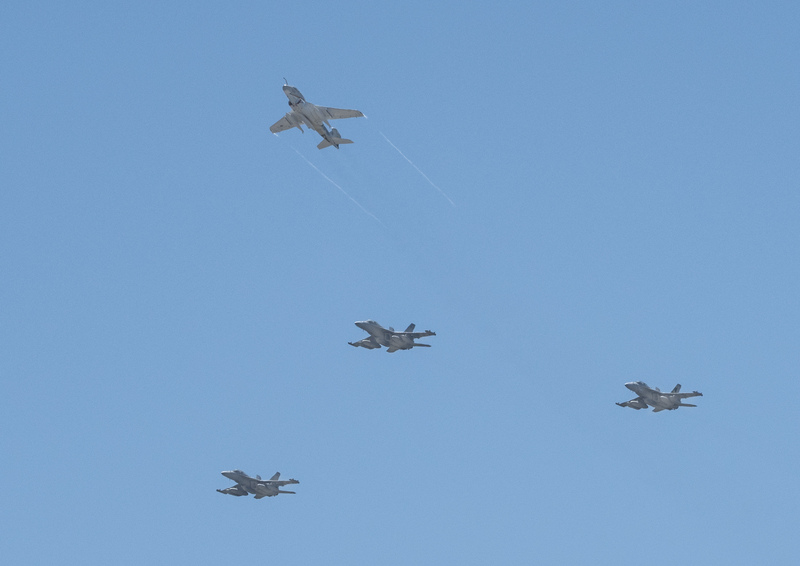 "Without question, the arrival of the EA-6B Prowler on the carrier deck established airborne electronic attack as an invaluable, 'don't leave home without it' part of every Navy and Marine strike mission," said Rick Morgan, LCDR, USN (Ret.) and historian for the Prowler Association. "The men and women of the Whidbey EA-6B community who served her are incredibly proud of their role turning this 'little airplane that could' into a true national asset." "Northrop Grumman salutes the sailors, naval aviators and maintainers whose service and sacrifice shaped the remarkable career of the Navy EA-6B Prowler," said Pat McMahon, vice president and general manager, military aircraft systems division, Northrop Grumman Aerospace Systems. 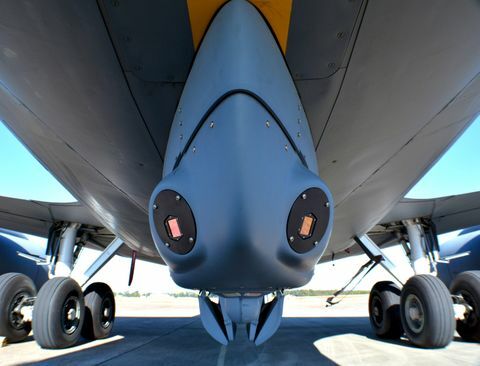 "We're proud to be partners with the U.S. Navy, then and now, in defining and producing some of the nation's most advanced airborne electronic attack capabilities." The departure of the last Navy Prowler from Whidbey Island, noted McMahon, does not mark the end of the Prowler's service to the U.S. military. The U.S. Marines, who have operated the aircraft since 1977, plan to keep flying the jet from Marine Corps Air Station Cherry Point, North Carolina through 2019. Northrop Grumman is the principal subcontractor to The Boeing Company in producing the EA-18G Growler, which entered service in 2009. 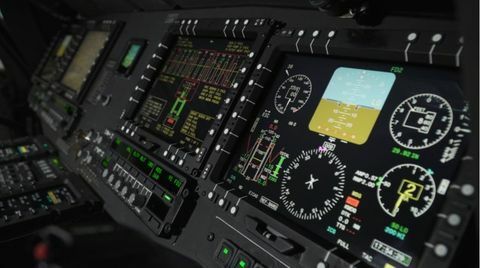 The company produces the aircraft's primary electronic warfare subsystems at its Bethpage Electronic Attack Center of Excellence, and provides mission systems software maintenance and support services for the jet at Naval Base Ventura County, Point Mugu, California. The company also produces the Growler's center/aft fuselage section, twin vertical tails and integrates all associated subsystems at its El Segundo (California) Manufacturing Center. 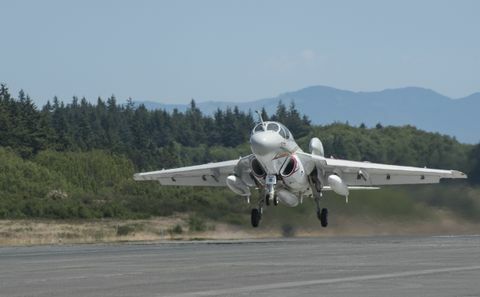 The final Navy EA-6B fly-away culminated three days of Northrop Grumman-sponsored "Prowler Sunset" festivities at NAS Whidbey Island that included a Navy Prowler memorial ceremony, a public Prowler-themed base open house and exhibition, and much more. The weekend events were organized and produced by the Whidbey Roost Chapter of the Association of Old Crows. The EA-6B Prowler is a long range, all-weather electronic attack aircraft originally derived from the A-6 Intruder aircraft. 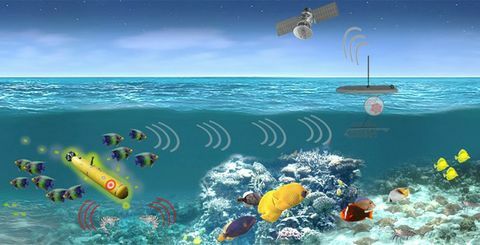 Its primary mission is to detect, identify and disrupt enemy air defense radar system and related communications systems in support of airstrikes. Between 1966 and 1991, 170 EA-6Bs rolled off Northrop Grumman's aircraft assembly line in Calverton, New York on Long Island. The first EA-6B entered service at NAS Whidbey Island in January 1971 and deployed to Vietnam in 1972. Over the years, the Prowler has been operated by the Navy and the Marines, in combat zones that included Vietnam in the 1970s, Grenada and Libya in the 1980s, Kosovo and Iraq in the 1990s, and Afghanistan, Iraq, Libya and Syria during the first two decades of this century.